COMING SOON: Renault takes on the bigger SUV boys with a larger and more upmarket version of its Koleos. RENAULT has revealed a larger and more upmarket version of its Koleos SUV, due to arrive in Australia later this year. It will be the French brand's first "D-segment" SUV, pitching it against the likes of Kia's Sorento and Hyundai's Santa Fe, suggesting it could ultimately be available as a seven-seater; Renault saying it will have "class leading cabin space". Based on the Renault-Nissan Common Module Family modular platform - also used for Nissan's X-Trail - the large SUV was revealed at the Beijing International Automobile Exhibition and is geared to reach 80 global markets. 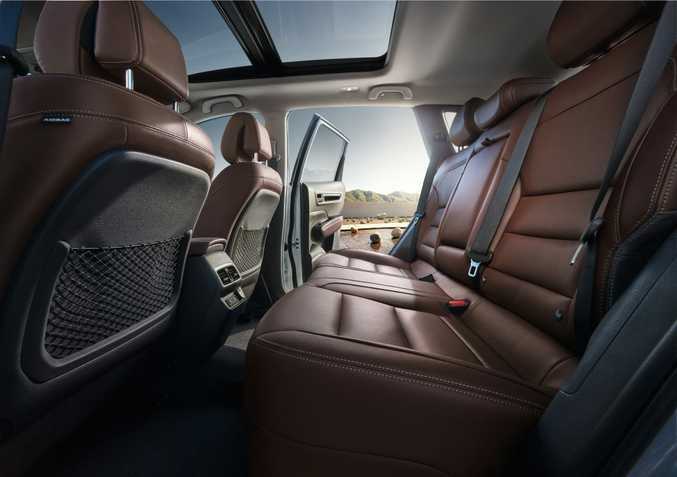 2016 Renault Koleos SUV. Photo: Contributed. 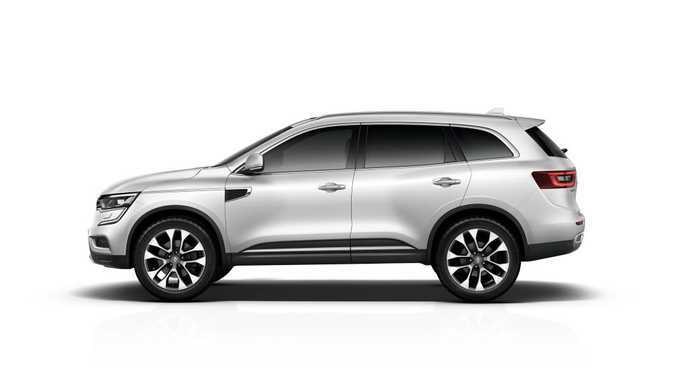 The new design Koleos with its larger dimensions will be Renault's flagship model in Australia, replacing the current smaller Koleos SUV introduced in 2008. With the split rear seat up Renault says boot space is 624-litres - a bit leap over the current offering's 450-litres. 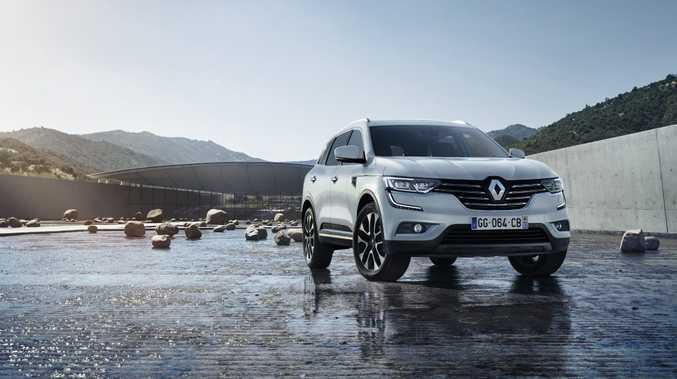 "The new Koleos will play a critical role in the continued expansion of Renault's business in Australia," said Renault Australia Managing Director, Justin Hocevar. "This vehicle is a core model and the new Koleos will give us a very appealing and well-equipped product with which to compete in this very important segment." 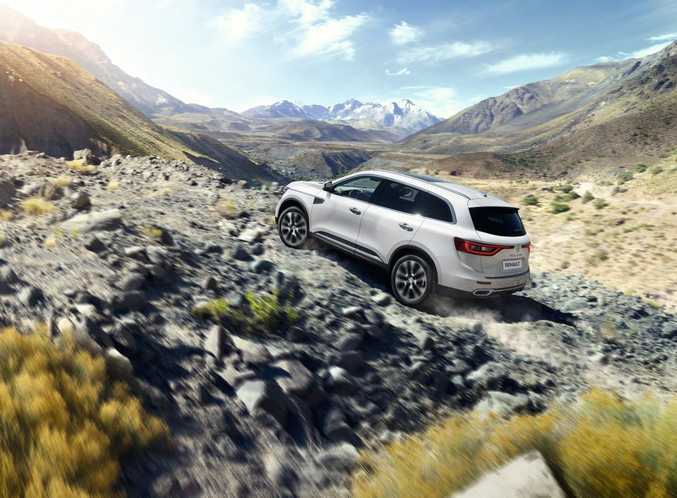 In 2015 Renault sold 1419 Koleos SUVs in Australia for a 1% market share in the mid-size SUV segment under $60,000. Class leader last year was Mazda's CX-5 with over 25,000 sales and a market share of nearly 20%. The new Koleos' full specifications, engine options and prices for Australia are unknown, but Renault's four-wheel drive system will be offered using all mode 4x4-i technology to switch between 2WD, 4WD Auto and 4WD Lock modes. Ground clearance of 213mm, an approach angle of 19 degrees and departure angle of 26 degrees all suggest the big Renault will offer some off-road clout. In line with the promise of high-end kit, the cabin will feature Renault's R-Link 2 system, where a large tablet controls the BOSE audio, infotainment, navigation, hands-free telephony and driver assistance systems. Renault also said the new Koleos would play a key role in its global product offensive, with the introduction of 10 new vehicles across the world in a record-breaking year for the firm.